Natalie and I are honored to welcome author Julia Asel Thomas to I'd So Rather Be Reading today. Julia is the author of Loving the Missing Link and is here today to talk about a very important writing technique: choosing your verbs. Welcome, Julia! There are two things a group of words must have to be an honest-to-goodness sentence. Of course, they need a noun, even if that noun is understood. Then, they need a verb – a word that will tell what that person, place or thing is doing. Whether you are a beginning writer or you just need a reminder, it is always a good idea to consider how you are using these powerful words in your writing. Did I say powerful? Well, some verbs are powerful while others are little more than placeholders. What I call “power verbs” are those that give a narrower definition to the given action. Let me give you an example from my book, Loving the Missing Link. On the very first page of the book, Cheryl narrates, “I realized that Mom would hear about it, so I rushed home to tell her.”If I had written the sentence using the verb ”went” instead of “rushed,” you would only have a broad understanding that Cheryl moved from one location to the other. I used the verb “rushed” because I wanted the reader to know Cheryl’s exact style of moving. I wanted to convey a powerful emotion connected to her movement. A carefully chosen verb can eliminate the need for an adverb, too. Adverbs have their place, but they tend to slow down the action of the sentence. Notice the difference between these two sentences: “I stepped loudly on the floor.” And “I stomped on the floor.” Stomped is a powerful enough verb that it does not need the adverb “loudly.” If you stomped, we tend to assume you did it loudly. Power verbs are action verbs. Yet, not all action verbs are equal. Walked is technically an action verb, because it shows that someone or something is doing something. Replace it with a more precise verb, and boost the power of your sentence. Your character may have walked, but your reader knows more about what is going on if she sauntered, glided or trudged instead. That is not to say that a simple verb is never called for. If your purpose is to have your character write a business report or a legal document, it is best to keep the verbs simple in most cases. That is because power verbs tend to show an attitude of some kind. Use verbs that are less flamboyant and more direct when you want to be straightforward and unbiased. Finally, when you are writing sentences, it is not enough to choose powerful verbs. You need to put them in a position of action. Instead of “The dog was groomed by the attendant,” say “The attendant groomed the dog.” Use that power verb to the max by keeping it in the action mode rather than the acted-on mode. Power verbs make your fiction more precise and also more concise. They insert the reader right into the action of the sentence. If that is the effect you want, examine every verb and make sure it is up to the task of driving your fiction forward. Your plot, characters and settings shine when you ground them in powerful, active verbs. As a writer, I constantly fight the battle to overcome weak verbs. As I write this, I am also reminding myself to always choose my words carefully. Sometimes, I don’t choose the right verb until the second or third draft, when I have a clearer understanding of what is going on. As long as I get the job done, I don’t sweat it. Loving the Missing Link is a fabulous tale about love, success, hope and music. During the 1970's. Young Cheryl Simpson feels trapped in her small Missouri town. As her mother tries to help her find a way up and out, Cheryl begins to feel that it is all an impossible dream. She sees herself living a boring and dismal life for the rest of her days. Just at the moment when she is about to give up on happiness, she gets the opportunity to join her high school band. The band promises a connection with the world outside her town, but Cheryl does not see any future for herself in music. It is just a tool to get where she wants to go. However, Cheryl’s mother arranges for Cheryl to take private lessons with an accomplished musician, who helps her realize the beauty and awesome power of music. Still, Cheryl feels that small-town inferiority and finds it too hard to believe that she could ever be anyone special out in the “real” world. On the eve of a music contest that could help her earn a music scholarship, Cheryl begins to panic. Scared and feeling alone, Cheryl runs off with her high school sweetheart and gets married, leaving the band behind. During the next years, Cheryl and her husband make a life for themselves. Cheryl meets friends along the way who help guide her to becoming the woman she wants to be. She becomes interested in the arts again. All the while, Cheryl and husband Jerry face the challenges of homelessness, miscarriage and an extra-marital affair before an unexpected disaster brings Cheryl’s life crashing to the ground. Cheryl survives, with the help of her extraordinary friends and her life-long love for music. 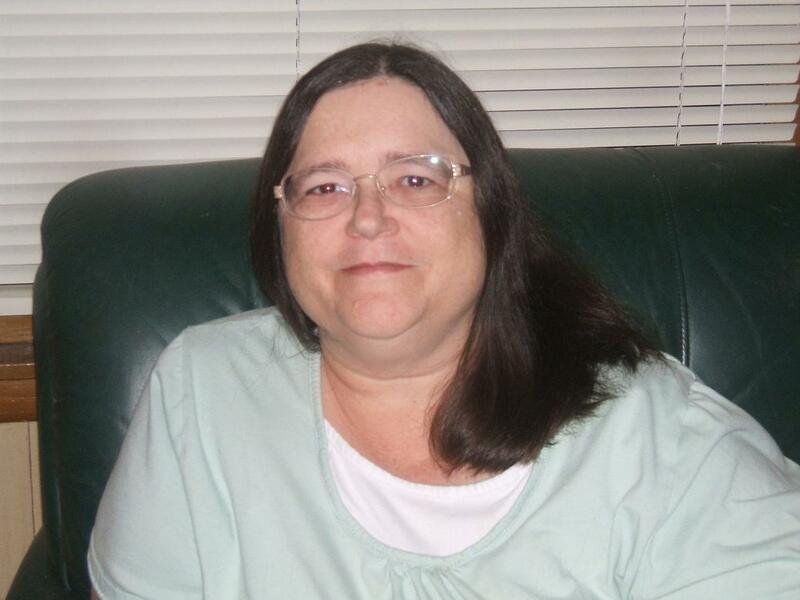 Julia Asel Thomas writes stories with vivid descriptions, authentic dialogue and revealing narration. 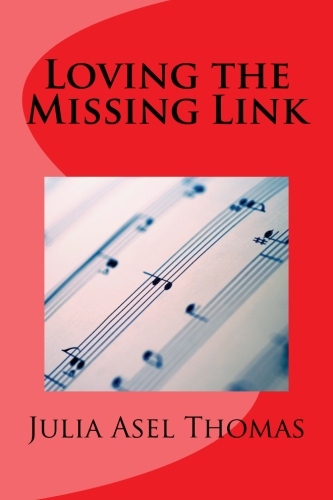 Her debut book, Loving the Missing Link, presents the engrossing and moving story of a young, small town girl who grows up, lives and loves while trying to find a balance between despair and hope. Like the protagonist in her debut book, Loving the Missing Link, Julia Asel Thomas knows small town life. However, Julia’s experiences were quite different than Cheryl’s. Julia is the middle child of seven children and the daughter of a church organist and a business manager. Growing up in the small town of Hamilton, Missouri, Julia’s family enjoyed a reputation as a bright and interesting family. Julia thrived on the quiet and carefree life she lived in that gentle place. When Julia was in high school, she earned a scholarship for a trip to Cali, Colombia as a foreign exchange student. The experience, although it only lasted a few brief months, had a profound influence on the rest of her life. After her time abroad, Julia realized in a very real way that, although customs may differ from culture to culture, the substance of human emotions is constant. We all need love. We all need to feel secure. We all have happy moments and sad moments. Back from Colombia, Julia become ever more interested in capturing these human emotions through music and writing. After high school, Julia took a break before going on to college. During this time, she married her husband, Will. Will joined the Air Force, and Julia accompanied him to bases around the country, taking college classes in each town where they resided. Their two children were born in Las Vegas, Nevada, while Will was stationed at Nellis Air Force Base. Married in 1976, Julia and Will are thrilled to celebrate each new anniversary and look forward to staying together for life. Julia began writing fiction at the age of ten, when her 5th grade teacher gave her the assignment to write about “My Worst Day.” Julia took the opportunity to concoct every possible disaster a young child could face during the course of a normal day. The teacher loved her work and asked her to read it to the class. From then on, Julia wanted nothing more than to be a writer. In 2007, Julia began earning her living by writing articles, press releases and website content for a number of clients. As she settled into a routine of working every day on her writing, the old urge to write fiction resurfaced. In 2012, Julia started with a story she had written in 1985 and continued it to create the story in Loving the Missing Link. Thanks Juju! Glad you enjoyed my post. And Kelli - thanks for hosting me on your blog!